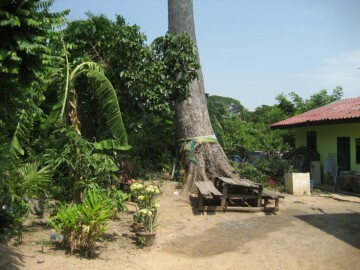 northern area of Ayutthaya in Khlong Sra Bua sub-district, Moo 6.
just south of the confluence of Wat Khlong Sra Bua and the old Lopburi River. the premises of the former temple. 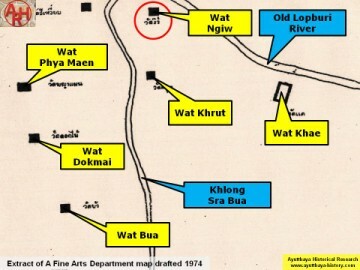 The monastery is indicated on 1974 and 1993 Fine Arts Department (FAD) maps. 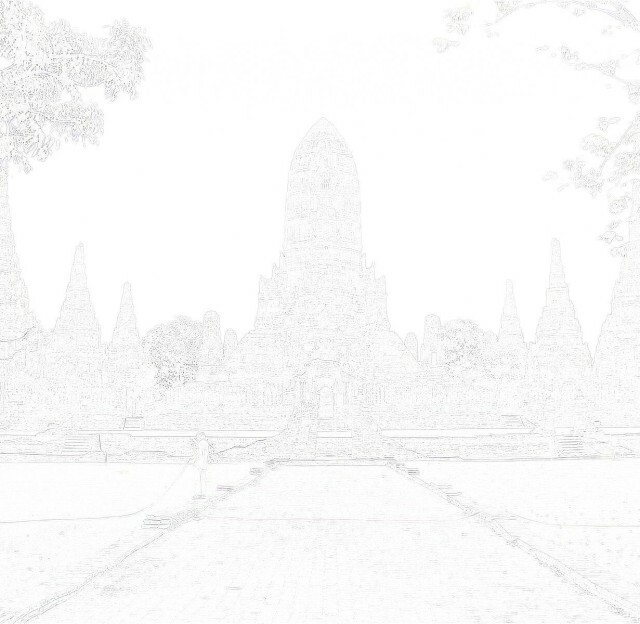 Wat Ngio was situated in Geo Coord: +14° 22' 44.78" N, +100° 33' 29.46" E.
In the "Geographical description of Ayutthaya: Documents from the palace"
text and being situated in that specific field (ทุ่ง). up clockwise. Wat Thorani follows after Wat Khrut, today called Wat Khruttharam (2). 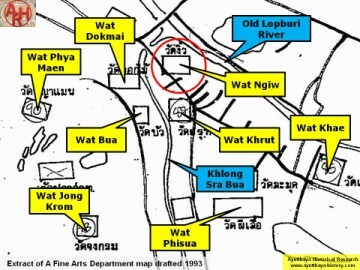 have been situated between Wat Khrut and Wat Phrao. 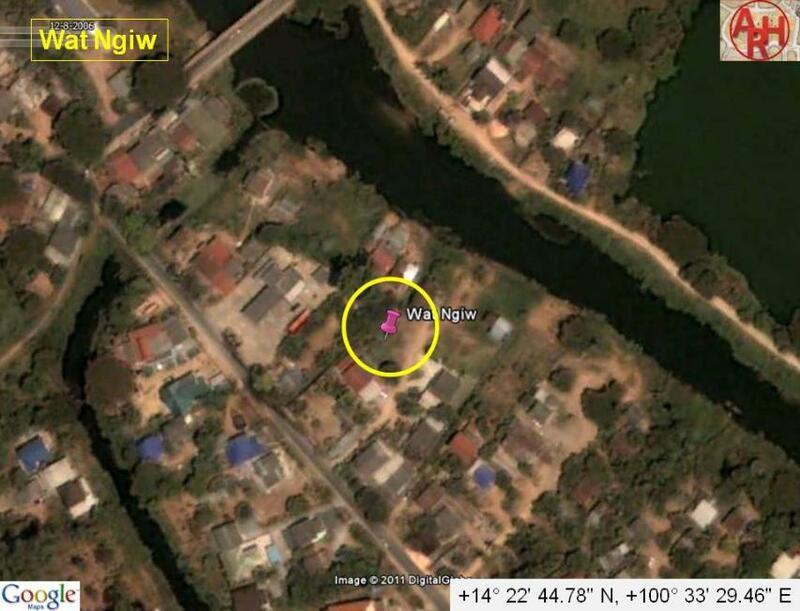 Wat Ngio does. palace - Dr Vinai Pongsripian - Bangkok (2007) - page 87. Veda and Brahmana - William Dwight Whitney (1975) - Harvard University Press. Vol 49.1 - 1961 - page 60.